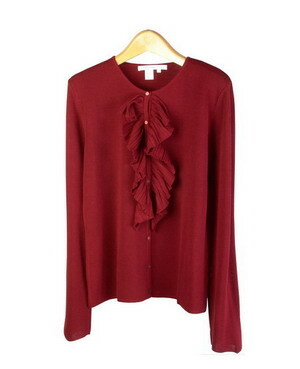 Wrinkle resistant high twisted silk knit ruffle front cardigan jacket, made of double full needle knit. 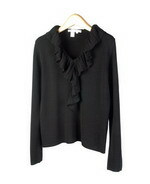 This cardigan jacket has great draping. Two colors available, black and ruby. 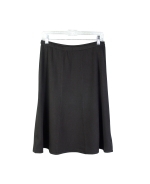 The jacket matches a layering flat knit top SW12 and an 8-panel knit skirt to make a complete outfit. Hand wash cold and lay flat to dry. Or dry clean for long lasting best result.